Country Life's Beyond Food is a high quality multivitamin and mineral that also includes over 500 mg of Country Life's exclusive whole foods blend from fruits and vegetables to support overall health. 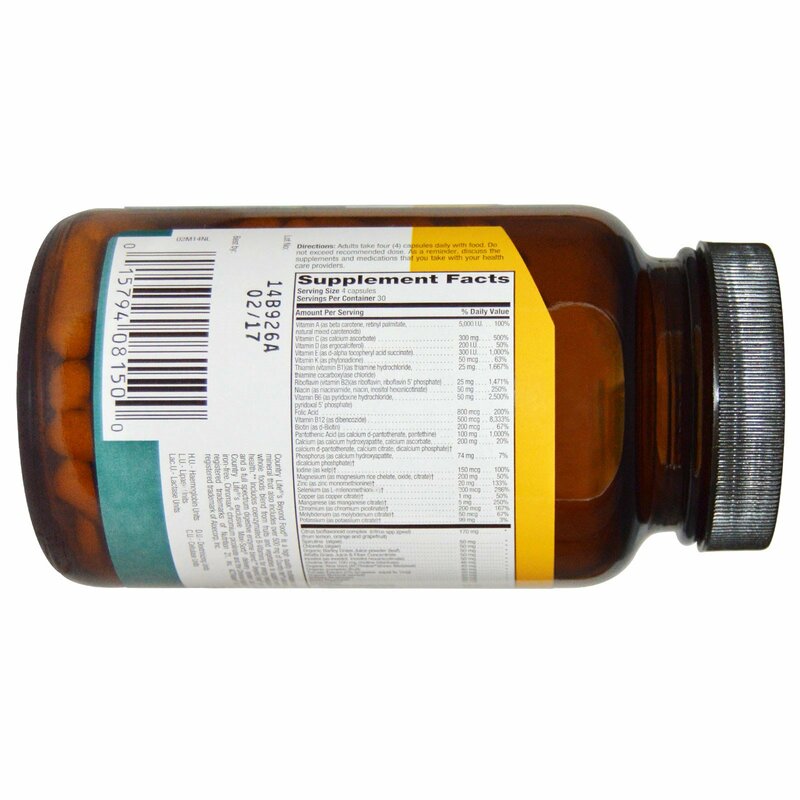 Includes coenzymated B-Vitamins for energy metabolism and a full spectrum digestive enzyme blend. 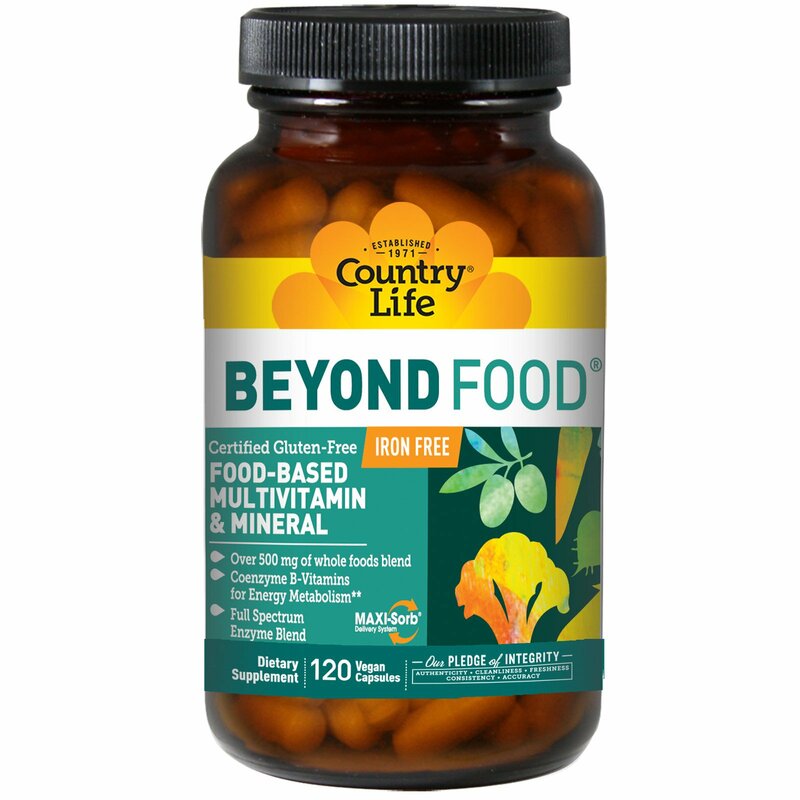 Beyond Food uses Country Life's exclusive Maxi-Sorb delivery system and is iron-free. Directions: Adults take four (4) capsules daily with food. Do not exceed recommended dose. As a reminder, discuss the supplements and medications that you take with your health care providers. 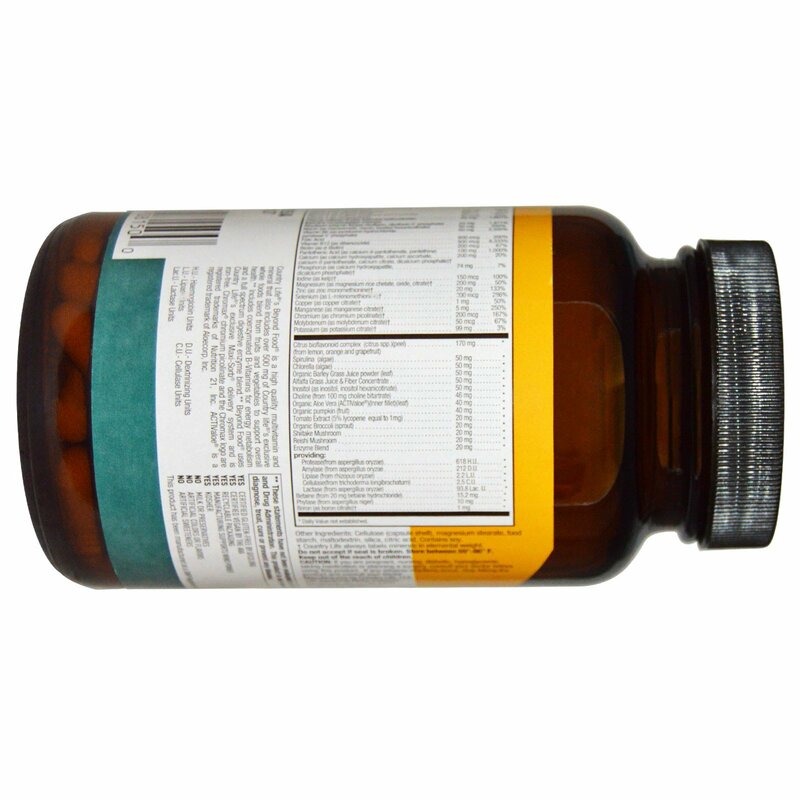 Cellulose (capsule shell), magnesium stearate, food starch, maltodextrin, silica, citric acid. Contains soy. Caution: If you are pregnant or nursing, diabetic, hypoglycemic, taking medication or planning a surgery, consult your doctor before using this product. If any adverse reactions occur, stop taking the product and consult your doctor.